I’ve been using SlideShare to upload documents and white papers to embed on my LinkedIn profile and other social places. Uploading a white paper takes about 2 minutes and looks brilliant. It’s easy to read on-line without the need to download, (although there is a download button), easy to share on any of the social channels, and easy to embed through a copied embed code. SlideShare also transcribe the content below the paper which is great for SEO. Users can follow accounts of content they like, receiving notifications every time new content gets added. Without any real effort I have gained over 800 followers. Anyone viewing content sees thumbnails of similar content on the right hand side of the screen which adds additional views, new followers and downloads. This is an example of my most recent upload, a white paper for RolePoint on Social Referrals. SlideShare has great analytics, tracking views, sharers,search terms, traffic sources and results , and the pro version enables you to add lead capture, contact buttons, HD video uploads, tracking of opens by prospects, on-line meetings and discussions, branding, branding, blocking of competitor content and larger uploads like e-books. The real benefit comes from sharing SlideShare content as updates and discussions in targeted groups. The last 2 papers i have distributed in this way have trended and been promoted on the home page of both LinkedIn and SlideShare. The two channels compliment each other perfectly, and is proving the best way to share papers, documents (like job specs), video and e-books to a targeted audience, combining the great visual look of SlideShare with the ease of reaching a very relevant audience through LinkedIn targeting. The RolePoint white paper featured in this post has been viewed 1,404 times, and is proving to have a much longer shelf like than other social channels,has been embedded in 136 other places and been downloaded 22 times. When you are generating targeted content, this is the best way to share it making it an essential part of your employer branding and content planning. 2012/13 Part 7: Whatever happened to #LinkedIn? 2012 was a bit of a mad one for LinkedIn. On the business front they consistently outperformed their competitors and posted record sales, record revenues which they reinvested in to the business by increasing the size of the sales team (which is why they have become much more visible), and big investments in to product development. 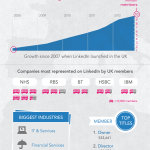 On September 30, 2012, LinkedIn had 3,177 full-time employees located around the world. LinkedIn started off 2012 with about 2,100 full-time employees worldwide, up from around 1,000 at the beginning of 2011 and about 500 at the beginning of 2010. Only a few days ago LinkedIn announced that they had reached their next milestone with 200Million members in more than 200 countries, growing at a rate of 2 members a second. Sixty-three percent of LinkedIn members are located outside of the United States, as of September 30, 2012. The fastest growing demographic on the channel is students with over 20M profiles at the end of 2012. I’m confident that this will explode with the launch of alumni pages in early 2013, when data rich pages will help students make informed choices based on other members’ data. The example I was given was using the education of users from a particular discipline to identify the best employers, best courses, best options etc, and to connect students with working alumni. One of the big developments I’m expecting to see this year is that it is going to become easier and easier to interrogate collected data from other users for decision-making, such as career paths, etc. A great example of this is the data available on company pages. More than 2.6 million companies have LinkedIn Company Pages, and more and more data on employees, connections and employer branding content is proving to be a really valuable resource. I was lucky enough to get a view of the Merlin data for a few of my customers a few months ago. If you pay for any LinkedIn products, or you are thinking about it, then you should ask your account manager for the data. The trends that really stood out for each of my clients was the number of people who looked at employee profiles from the organisation before applying for jobs. The typical route was generally look at the employee profile, link to the company page, then look at the jobs. When you see this, it makes you realize how important individual profiles are. When I conducted an audit for one of my clients, the findings were that only 30% of the staff used the same company and department name as the company page. For 70% of the employees there was no link. I’ve heard Craig Fisher (@Fishdogs) speak a few times this year about what he terms workforce marketing, which has the LinkedIn profiles of employees at the heart of it. If the employee profiles are the most viewed employee content for reference, it is important to give guidance, training and additional resources to make the profiles consistent and useful. That doesn’t mean making them all the same, but it does mean lining up company names, links, presentations etc. It really works, and PPC advertising against your employees profiles linking to your company page or jobs really pays off.If you are going to be investing in any recruiter products, then get these bases right first. On the product side, LinkedIn has been changing with much more than a cosmetic makeover. There has been so many big and small changes to the channel that you could have been forgiven for thinking they were Facebook. Each time you logged in during the second half of the year something looked or felt different. Let’s jump back 12 months and consider what LinkedIn was, compared to what the channel is now. Profiles were largely static. Users visited on average of 1.2 times, and the level of engagement outside of select groups was very low. This is very different now. Time on site and pages visited have increased tenfold, and there is now more engagement, comments, shares and likes in a month than in a year. LinkedIn has gone from inactive, to active, and that’s a great thing. I’ve blogged in the past about where I think LinkedIn is going, and what they are aiming to be for their users. Whenever I’ve met anyone from LinkedIn, they have been quick to stress that all changes are made with the free users in mind. The reason behind this is that the more valuable the channel is to the free users, the more time we are going to spend in the channel, and the more up to date we are going to keep our profiles. The more data we add, the better LinkedIn know us, and the better we can be targeted with relevant content, connections and opportunities. LinkedIn are always quick to point out that their purpose is to connect people with opportunities. I think the use of the term opportunities is important, because they really want to move beyond jobs, to careers, profesional reference, and to become the best source for profesional content. From my point of view, the big change this last year is that LinkedIn has become the channel for professional content sharing. I wrote about this earlier this year, and a few of the LinkedIn experts were not so sure, but a big part of the new features have been built around sharing. Anyone posting content should post to LinkedIn updates first, manually, via updates on the home page, then share to Twitter and other social places from LinkedIn. The reason for this is that LinkedIn apply an Edgerank style ranking system, and promote content that trends each hour. Points are awarded in order according to comments, shares and likes. The more interactions, the more you get promoted to users who have reacted to similar content, your link appears at the top of your networks news feed, and you increase the potential of being included in LinkedIn Today. Provided you have the LinkedIn share button on your blog/webpage, and you are sharing the LinkedIn link in other channels, all interactions in any channel count. There are more than 1.3 million unique publishers actively using the LinkedIn Share button on their sites to send content into the LinkedIn platform. The addition of the notifications flag and messages envelope to the top bar of any page has made it much easier to see, and respond to any interaction on the channel. It has been a great add that I’m sure has contributed to the increase in interactions. It has lead to the channel becoming, well, social! I’m excited that LinkedIn are now using user behaviour to become more intuitive about what users want from the platform. A great example of this is the new profile. Different users see different data and information on your profile according to what they have previously looked at on other profiles. There is a recruiter view, a jobseeker view, a networker view etc. Your behaviour gives you a customised view, making the channel much more interactive and relevent to the needs of individuals. The next goal is to learn your content preferences, in order to change your view again, for example, if you regularly look at SlideShare and other embeded documents on profiles, then you will see these on first view, if you never look, then you will have to go find them. It is about customising your experience, and the more you use the channel, the better they get to know you. I would be remiss if I didn’t mention the most talked about new feature, endorsements. LinkedIn were faced with a challenge, because the search engine was driven by location, skills and keywords, but the skills sections were largely incomplete. The introduction of endorsements has changed this, with all active profiles adding skills. The endorsements are now impacting on search results. The more endorsements in the searched for skill, the higher the ranking. Whilst the ease of endorsing skills has attracted some complaint, not without merit. I would say the profiles that I track are accurate in terms of the top 5 – 10 skills. I’ve also noticed that now the novelty has gone, skills are endorsed less, but with more merit. Skill matching will drive search moving in to this year. My feeling, (and I’m going to cut mine down as part of an edit), is that less is more. Adding only 10 specific skills will clean up profiles, and give users more of a yes/no option. There’s also the option to add plenty of additional information to your profile in the edit sections on the right including projects, languages, test scores, courses, patents, certifications and volunteering. The more searchable, structured data added to profiles, the better the search results, and the more LinkedIn knows about its users. At the end of 2012 the popular events feature disappeared, along with many of the other apps like BlogLink. My feeling is that this was aimed at increasing link sharing through updates and messaging, which in turn will raise engagement and interaction, and gives users more of a need to keep checking the update stream. You can now add unlimited Slideshare, presentations and video using the rich media icon under education. You can reorder these with drag and drop, You can search all updates and changes in your network by keyword by using LinkedIn Signal. This is hardly used, and should be a much more popular feature amongst recruiters and sourcers. Another feature has been the introduction of influencer content in to the channel. Taking the lead from other channels like the popular Mashable social app, users can follower influencers by topic grouping (such as recruiting), or by individual. There are currently 150 influencers listed in the pilot program, and I’m following this closely. Influencers can post extended updates, in effect blog posts. These posts are attracting far more views, comments and shares than their original blogs, and the views and shares tend to be far more relevant than in other channels. As this rolls out to more influencers (and it will be controlled), then I’m expecting to see a growing group of people moving to making this their home channel, and moving away from other blogging platforms. All of this will serve to build original content in he channel, and give members more and more reasons to check in and stay in channel. The more time in channel, the more opportunity to serve up ads and other paid for options. A lot of the new features and initiatives are being driven by LinkedIn employees who take part in hack days (held on a Friday each month) and the incubator program. The incubator program enables any employee to pitch a project and get funding and support to assemble a team and explore the idea for up to three months. So far five incubators have been approved, with the next round coming in Feb. When we look at those companies that are renowned for innovation, and LinkedIn must rank in this select group, you find a culture where new ideas, invention and experimentation is actively encouraged and backed. There is no such thing as failure only research, and the best innovation comes out of things that don’t quite work as planned. The challenge LinkedIn face this year is to change unsociable users’ behavior and that usually means recruiters who use the channel as a giant hunting ground, with limited attention to the relevance of jobs offered and approaches. I have read that LinkedIn are working on a spam filter in the lab to try to control this a bit better, and that they are developing a tool that will automatically move jobs from the stream in groups to the jobs section, without the need for manager interventions. We could see LinkedIn being clearer on their terms of service for users, and coming down harder on those who breach the expected standards. I have heard stories, although I have no evidence, that some users are being penalised or having InMails removed or not delivered when they have a high rejection or non-open rate. Most importantly though, I think it is vital that recruiters take responsibility for themselves and don’t bite the hand that feeds. I wouldn’t be surprised to see more changes around groups this year. There are lots of redundant and idle groups that could be subject to a clean up. A well run group has a great value to the members and the owners in particular. I wouldn’t be surprised to see more control over managers, with tighter expectations over the role of the manager, and what goes on in the groups. Personally, I’d like to see the number of groups cut down, with more promotion based on activity in the group rather than membership numbers. This is only speculation, but is an area that needs some attention. More than 75,000 developers are using LinkedIn APIs to create innovative tools and services for professionals, up from 60,000 at the end of the first quarter of 2012. LinkedIn has become integral to many of the apps we use, and is the professional reference source for most of the new recruiting tools. LinkedIn rule over access rigidly, which means no competition, and protection of the users data. The more apps integrate profiles, the more benefit to having a profile, and the most popular apps, like CardMunch, Rapportive and SlideShare have been acquired and integrated in to the channel, a good encouragement to build great tools for LinkedIn. It is also interesting to note that in the third quarter of 2012, an average of 25 percent of unique visiting members came through mobile apps, versus just 13 percent in 2011. Expect this to exceed 50% by the end of 2013, so any links must lead to mobile optimized destinations. I think that covers most of everything. A long post, but a very busy year for LinkedIn. I think they are the most changed channel, and I’m sure there is lots more to come. Don’t be surprised to see live calling (it has been piloted via an iPad app) and chat, because the more we chat in channel, the longer we stay there. Contrary to the popular myth, content is not king. It is important, yes, but not as important as found content. If I don’t see what you are posting, then you have no opportunity to influence me or change my thinking. The way the social media channels work now, I’m more likely not to see your content than to see it, and that changes things. Whilst I appreciate what they have been trying to achieve, I’ve always taken my Klout score with a pinch of salt. My Klout score has always been a direct relation to the volume of updates I have been pushing out. Since I moved my principle channel from Twitter to Facebook, my score has dropped considerably, but have I become any more or less influential? I consider my real influence comes through my blog or the #tru events that I host around the world, and Klout doesn’t really factor this in, although my mentions might go up as a result. The important thing here is the emphasis on unique interaction and subscriptions in all of the channels, and your ratio of interactions to follower/friend/connection count. This is critical because edgerank (and whatever name LinkedIn and Twitter use to rank content), means that your content is only visible to people who interact with you. This is most evident on Facebook, but is relevant to Twitter and LinkedIn because your updates get pushed right down the stream or feed when there is little interaction. Equally, shares, likes and comments combined with authorship on Google+ will increase your ranking in personal search results amongst your social connections. Whichever way you look at it, interaction means visibility, and visibility presents the opportunity to influence. Personally, I place the greatest importance on LinkedIn interactions, because my LinkedIn network has the greatest relevance to the areas I work in, and there is less interaction in this channel. I have calculated the relevance of my LinkedIn network at 70%, where as Facebook is closer to 45% (with a smaller network), and Twitter at close to 30%. (with my biggest network.). Whilst it seems Klout ranks all channels equally, your Klout score is a good indicator of interactions, hence visibility. If your not getting visibility, then you need to either reconsider how to get interaction from your updates by inviting comment or asking questions, or consider paying to promote your updates or tweets, which makes them visible to larger sections of your network. Whilst LinkedIn don’t yet offer “promoted” updates, I’m sure the facility won’t be too far away. It might well also be time to take more than a passing interest in your Klout score. I’ve long-held the view that you shouldn’t really write a paper book about Social Media. Any book that is instructional, and giving guidance to job seekers (especially), networkers or recruiters should really be an e-book with updates each month to notify the subscribers what has changed, what no longer applies and what won’t work any more. If this is not the case, then your book should really be called a history book. Publishers and writers may not like this, but the pace of change in the social media channels means anything else is really not being accurate. What you published in good faith last week might well be out of date. Training is another difficult area. I think LinkedIn are just making too many changes, and keeping us guessing as to the impact of in particular the new profile design, to know if what is being taught is correct. I’m not sure yet how much this will impact on profile optimisation, or what impact endorsements are going to have yet. They are certainly doing strange things to search results, but there has not yet been enough time to evaluate how they change things. I’m also hearing recommendations for LinkedIn applications to bling a profile that may well be removed over the next few weeks. Let’s stop for breath and see what comes out in the wash. By all means speculate in blogs and other on-line places, but be clear this is your best guess based on our knowledge, because it is just confusing at the moment. You can, and need to, keep up with the changes as they happen via the LinkedIn blogs, but the reality is these are more like advisory notes to the features and updates rather than explanations as to how they are going to impact. Please LinkedIn, give us a bit more of a clue, you know we love you! Our Product team showcases the biggest enhancements we’ve made to the LinkedIn experience in the company’s history, including the launch of the new LinkedIn profile. In their words, the biggest changes in history. Innovating, changing and helping in the fastest time in the companies history. The reality of any change to any social media is that it takes a while to figure out what it really means, if anything, and this is really dictated by the way in which we, the users react. We need to get the new data pumping through the system to figure it out, and notice what is happening. I can’t remember a time when LinkedIn has changed more significantly, and at such speed, largely without prior warning. The market respects our thought leaders and trainers, please stop for breath, give it time to shake out and start advising us again over issues like keywords or not. You will have our eternal gratitude if you can figure it out, and hold off the training in instruction until we have answers to the questions. 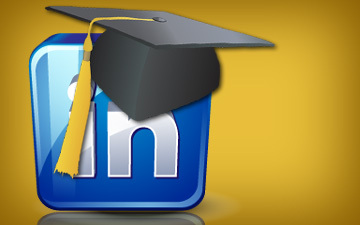 The largest growth segment for LinkedIn is student profiles. It seems that the message has got through that a professional profile is becoming increasingly important in the job search. This is good news for students, but it is also great news for the channel. If all students were to create their first profile as they arrive at University (or leave school) and build it through their academic career, updating skills as they are acquired and through study, internship and work experience. It is the stated vision of the channel that every professional will have a LinkedIn profile. In the UK it is estimated that 4 in 5 professionals have a profile. The route to achieving 100% adoption is through the student population. If LinkedIn can get people to document all of their career through their profile from when they first start out, think how powerful the data pool is within a short space of time, and the signs are that student sign ups are making this a reality. The guys at LinkedIn have been spending a lot of time figuring out how they can add real value to the student population, not just for profiles, but in supporting them in their careers and career choices, even before they choose to enroll in any course of study. Identify which course of study and university offers the best potential for a chosen career path. Connect with other alumni in organisations that they want to work for and intern with. Identify what organisations hire from the alumni. Identify a specific course of study for future career options and employers. Have a location to find connections for advice, where their is a reason to connect. To provide an on-line destination where employers can promote opportunities to potential hires or interns. Creating groups for employers to share specific content. Enabling employers to identify and follow students from specific universities or courses for longer term engagement from the start of their academic career. I’m sure that over time users will find more ways to generate value from alumni groups. For the academic institutions, they are also going to have the opportunity to engage with students and employers, in the same way that companies can now engage through updates and announcements on company pages. Students in high school will be able to get a good insight in to alumni groups and make comparisons to make the right choices. Any destination that connects schools with business for meaningful dialogue between the academic and business community also has to be a good thing. I will be watching this development with interest to see how the alumni pages take off during the last quarter of the year. I think that these pages really will create the pipeline between students creating profiles ensuring the continued growth of the channel. I’ve read quite a few posts recently about optimising your LinkedIn profile with keywords. This approach can increase visibility in LinkedIn search, but I think miss some important points that need to be taken in to consideration before you stuff your profile with keywords. As a recruiter you want to be found by people who could be candidates for your open opportunities now or in the future, or for third-party recruiters by people who could become clients. The big question for me is where are these groups of people searching for contacts? In LinkedIn or in Google? My feeling is that it is overwhelmingly the latter, and this is where you get a contradiction in what you should be doing to your LinkedIn profile. LinkedIn search loves keywords, but Google doesn’t any more. What will gain you higher rankings on LinkedIn will penalize you in Google because Google doesn’t like keyword stuffing and downgrades the result. The Google algorithm reads profiles and content it finds to make sure that it makes sense, and that keywords are relevant to context. Google gives higher rankings to phrases and sentences containing keywords and answering questions or matching questions people might be searching for. For this reason, I propose optimizing your profile for Google rather than LinkedIn. That means keywords in context and sentences that make sense. Local SEO Service can complete this work for you. In my opinion, your LinkedIn profile is increasingly becoming a people reference point rather than a place for searching for strangers. Recruiters search for people for jobs they might have open because the data makes it easy to search professional details, and there are more professional profiles in the channel than anywhere on the internet. Search data though shows that this is largely unique to recruiters. Job seekers don’t search for recruiters in the same way. They are more likely to be searching for profiles by name because they have seen them elsewhere and want to check out their profile as a point of reference, or a means of connection or introduction. Keywords won’t enhance name searches. When people search for names, it is the names that match that come back, with some geographical and connection filtering. Location and proximity to you. Your connections according to level. Members of groups you belong to. It is easy to see from this that your connections are more important than the keywords you are using. This means continually increasing your connections in your target audience. The more you network, the wider your direct and secondary search pool, and the greater potential of you coming up in search results. LinkedIn are increasingly adding features to encourage engagement through updates. This started with moving the update stream to your home page from the profile page. Another feature I have noticed today is the message and notification symbols on the top bar. The messages symbol is the envelope that turns red when you have outstanding messages, and the notification symbol is the flag to the right of the message symbol. This turns blue when you get any connection requests and notifies you of any interactions with your updates including likes, shares and comments. You can also see who has viewed your profile. All of these features are geared to driving users to the home page as their LinkedIn central. The way to get visibility and increasing connections is through updates, and responding to those people who are interacting with your updates and viewing your profile. A proactive approach to connecting with people who are connected with your target audience, and interacting with them by sharing content, commenting and liking updates will result in growing your connections. Growing connections will increase the number of search results you come up in, and people you are recommended to as someone they might know to connect with. The most important section of your profile is your professional headline, because this and your image is how people judge if they want to invite you to connect or accept your invitation. A job title is just not enough to differentiate you from others, you need to be making a statement about what you do and who you are, and use all the characters available to you. With this approach in mind, you need to think of your profile as the reference point to you, rather than a search target. That means being clear about what you do and what you have done, and profiles written for search and loaded with keywords don’t always read that well. Make sure that your profile makes sense and tells your message to the connections you want, remember that when you connect with anyone anywhere, they are going to be going back to your LinkedIn profile to check you out. As a recruiter, you are almost definitely using your account for pro-active search to find potential candidates. Companies who report successful hires from the channel, report search as the principle source of hire, and hires from their profile as the lowest. When you message people for the first time, they will go to your profile as the reference point before responding. Think about what they will find, and if a keyword stuffed profile will encourage them to respond. What your profile says is critical to your success in sourcing from the channel. My feeling is that you should be optimizing your profile for Google search. That is where your potential audience will start their search if they are looking for an opportunity or a new connection. Job seekers don’t search for people on LinkedIn in the way recruiters do, they search on Google, and that means less emphasis on keywords, and more on sentences that read logically. Remember that Google ranks key phrases that answer questions and search queries, not keywords. Your location and network of connections will have the biggest impact on LinkedIn search results and ranking rather than the keywords you have loaded your profile with. Think LinkedIn for reference and targeted sharing and engagement through updates, and Google for search. Your connections and reach in the channel is more important than anything else. Time to visit your home page and start engaging, rather than stuffing your profile with keywords. The best way to come up in LinkedIn search, keep getting connected, there are no shortcuts or keyword magic. LinkedIn have announced that they have just passed 10million users in the UK, which they claim is 4 out of 5 UK professionals. according to the 2011 census, the UK population stands at 56.1 million, with 20% over the age of 65, which means they estimate the “professional” population of the UK at around 30Million when you take off the population under 18, with 1 in 3 categorized as a “professional”. The UK is now the third largest population of users in volume behind the US and India. I had a really interesting morning at LinkedIn HQ in London yesterday, discussing some of the direction the company is going in terms of product. I recently posted a breakdown of the second half results announced by LinkedIn, which showed a big investment in product and headcount, particularly around advertising and account management. Historically, the advertising products have only been available in English, but the company have recently announced that they are launching ads in 17 languages, in keeping with the move to make the platform and user profiles available in every language. LinkedIn operates in 200 countries, and being genuinely global means being bilingual. The new languages are English, Czech, Dutch, French, German,Indonesian, Italian, Japanese, Korean, Malay, Norwegian, Polish, Portuguese, Romanian, Russian, Spanish,Swedish, and Turkish. Other languages are being considered for the future. you can select the language you want your ad to appear in by selecting the language you want from the drop down in settings, or the language link button at the bottom of your home page. (It is worth noting that the language of member posts will always be displayed in the language they were posted.) For global or domestic recruiters outside of English speaking countries this has to be a really exciting development, but how well do LinkedIn ads work? This ties in with my belief that the recent changes to the home page are all about keeping users in channel, staying for longer periods of time. Since the launch of the new home page integrating the update stream and switching posting from updates to the home page, engagement in channel is at an all time high. The principle is simple, for ads to work, users need to be kept in and on channel. Making the experience local through language is another way of achieving this. The more time spent in channel on the home page and user profiles, the more effective the advertising. There are a range of ways to place ads on LinkedIn including PPC which allows for targeting by all of the fields within LinkedIn including location, company, job title, skills, seniority, etc. A really interesting option allows for targeting members of groups. It is an exciting prospect to be able to reach all the people employed at a competitor, or the members of a specific group who fit your target audience. The suggested costs are a bit more than you would expect to pay for similar ads on Facebook or Google but it is PPC, you can set limits and the structured data on LinkedIn makes targeting incredibly accurate. As with all PPC, you are going to get better results and reduce your costs by placing multiple ads and dissecting the audience and mixing text and image according to audience. The downside of `LinkedIn ads is that you are restricted to 80 characters in the title and 80 characters in the description. (think writing for Twitter.) As with all PPC you should split test different ads to see which ones work for which audience. You can post a link in the ad to a LinkedIn page or an external website. I’m piloting these ads to promote a company page, now that LinkedIn allow updates from the page, and give page administrators access to the profiles of people following the page. Even if you have tried PPC previously and not got the results in the past, I think it is worth trying again due to the new home page features.The other option is to take a look at the other advertising options. You can read more in the LinkedIn solutions center. The potential to mine data for understanding your business, the people within it and the market you work in is really impressive. The more the user numbers grow, the more the structured data pool grows. The potential for developing new products that interpret this data in a constructive way, and to deliver targeted recruitment campaigns is phenomenal. LinkedIn is all about data, and there is a lot more to come from this. When looking at the data, one area really stood out for me that i think is really exciting, and that is the number of views of all the company employees profiles combined. When you consider who looks at profiles, it is easy to see that these are going to be people from the same sector, competitors, people from the same field or with a similar skill set.In a company of any size, that is going to be a lot of very relevant eyes over the course of a year. One of the LinkedIn media solutions is to place an ad next to all of your employees profiles. The ad that works best takes the picture of the user viewing the profile and positions the image with text like “see yourself at” with your company name and other detail like the job title of the visitor. I have seen this level of personalized advertising work very effectively with company pages, but the potential of these ads with employee profiles is significant. I inquired after the cost of this type of campaign, given the volume of eyes, and was surprised to hear the price point (on rate card) at £4,200 a year for 1000 employees (£4.20) each for a year, with reductions for additional employees. This could be the best bit of internet real estate for recruiters. I will be running a track on the changing face of LinkedIn at #TruLondon on 22nd and 23rd October. I hope you can join us for the discussion. With so much changing in the channel, it really is time to rethink your LinkedIn strategy, with targeted advertising a part of that thinking.